Congratulations to "Janet K.", the winner of Carey's giveaway. Thank you to all who participated! Maureen, thank you so much for having me back! I’m delighted to be at Just Romantic Suspense today. 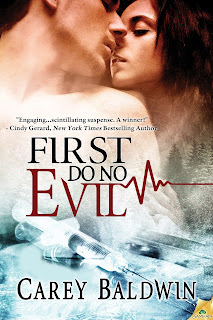 Since Halloween plays a critical role in the plot of my romantic thriller, FIRST DO NO EVIL, I wanted to do something special to celebrate the holiday. At first, I thought about re-telling my favorite ghost stories from childhood. But we’ve all heard them before. Then I thought, what if….What if - I poll my friends and find out if they have had some sort of TRUE paranormal experience. Wouldn’t that be fascinating? It turns out several of my author friends have had paranormal encounters, and they were willing to share. The stories I have for you today may seem less dramatic than those childhood tales and urban legends…but these stories are TRUE. I’ve got more stories posted on the other blog I’m doing today over at www.KissandThrill.com, so be sure and drop by there to read more true life ghosties! 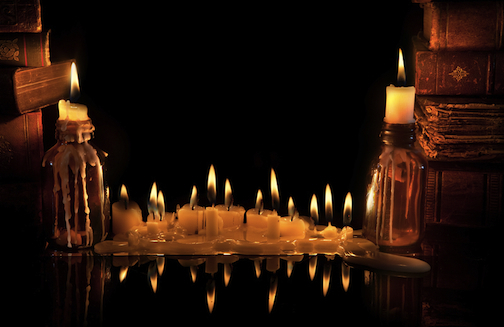 I was hesitant to share my own personal ghost story, but I do have one, and I think many people have such experiences surrounding the death of a loved one. A few days after my mother died, I was in Texas, where I had traveled for my mom’s funeral. I was staying on the downstairs couch at my best friend Dottie's house. I had been dreaming about my mother, and when I woke up, I had the distinct feeling that my mother was physically beside me. I had chill bumps on my arms, and I could feel the warmth of her body and the heaviness of the couch, as if another person was sitting beside me. I was so sleepy and confused, and the sense of her presence was so strong, that I actually whispered, "Mother?" As if in answer, a music box began to play upstairs. I jerked fully awake and screamed, "Dottie!" Just then, the front door opened, and my friend Dottie came inside. She flung her coat aside and ran over to me. The music was gone. It seemed there had been no one in the house but me. Dottie had taken her daughter Courtney to school, and returned just as I screamed out her name. Courtney did indeed have a music box, but it wasn't playing now. Dottie and I talked for a while, and we tried to come up with some logical explanations. I knew I hadn't been asleep and favored the idea that a cat had bumped the music box upstairs. "But, I think it was still a sign," I said. Only, Dottie didn't have a cat. "You're overwrought, and you must have been dreaming," she said. "But I know your mom will always be with you." And just then, once again, the music box started to play. We both screamed. Then we hugged each other. That's the one and only time I've ever experienced anything I couldn't explain. Whatever it was that caused the music box to play, ghost or no, I believe it was the result of my mother’s love. When I was about five years old, we lived on a Navy base in California in a ranch- style house with hard, terrazzo floors. My dad was a big, tough Navy guy. He and my mom slept in the room at the end of the long hall of bedrooms. One night my dad woke up to the sound of someone walking down the hall. He clearly heard footsteps. He assumed one of us kids was up, so he got up and opened the door. Nothing. It happened again the next night. Again, when he opened the door, no one was there. He checked all of us kids (four of us) and we were all sound asleep. My dad wasn't the kind to imagine things, and he didn't believe in ghosts or anything like that. So he made the logical assumption that someone had been breaking into our house. The next night he double-checked every lock, and he stayed awake, both him and my mom. He waited right by the door with a baseball bat. Sure enough, the footsteps sounded again, coming down the hall toward his bedroom. My dad waited until they stopped right outside his door, and then he threw the door open ready to pummel the intruder. No one was there. At that point, he was really freaked out and concerned about his family. He went to the base security the next day and they double-checked our locks and all that. They also told him something he didn't know. The last family that lived in our house had left under tragic circumstances. The father hung himself in the house. My dad never did catch an intruder, and those footsteps sounded several times off and on while we lived there. The house I grew up in was on the side of the hill, and my bedroom faced out over the valley. So one night, I went into my room... and there was this big, REALLY big, lighted thing in the sky. It was utterly quiet, so it couldn't have been a helicopter. And it was hovering, so it couldn't have been an airplane. It just sort of hovered there for a little while and then slowly moved away. "Wow," I thought, watching it go. "Aliens are actually friendly! They must be sending us a message." It was very dark when this happened, and I watched it with the gullible eyes of a ten year old, so I feel confident in assuring you that aliens visit this planet, and they're very nice. Okay this one is not true, because Sky is the heroine of my romantic thriller, FIRST DO NO EVIL. One killer is in her blood. The other is in her house. There’s a killer lurking in Dr. Skylar Novak’s family tree: the gene for breast cancer. That's why her brilliant brother invented the Bella vaccine. But even if the miracle drug protects her from the cancer that took her mother's life, it can't save Sky from the flesh and bone evil stalking her in secret. 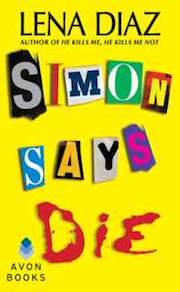 When the killer strikes, detective Daniel Benson finds himself in the wrong place at the right time. The bold detective manages to save Sky's life…just in time for her to return the favor. Survival leads to seduction, and Danny risks everything—his career, even his life, to keep Sky safe. But will the buried sins they uncover cost him her heart? Warning: Contents include: One heart-melting hero—good luck getting this delicious detective out of your head. One reluctant heroine—wielding a Glock was never on her to-do list. One crazed villain—an entire flock of baa baa black sheep won't be enough to put you to sleep. And a lifesaving vaccine with one deadly side effect—murder. Commenters : I’ve got PRIZES GALORE! So please read carefully. One grand prize, consisting of the following books, will be awarded to one lucky commenter: FIRST DO NO EVIL by Carey Baldwin, (Nook or Kindle copy); SIMON SAYS DIE, and HE KILLS ME HE KILLS ME NOT by Lena Diaz (winner’s choice of electronic or print), HOW TO ROMANCE A RAKE by Manda Collins (winner’s choice of electronic or print copy). Leave a comment here on this blog to be eligible to win the grand prize. Are you the kid who never, ever, won the cake walk, no matter how many tickets you bought? Well, not on my watch. 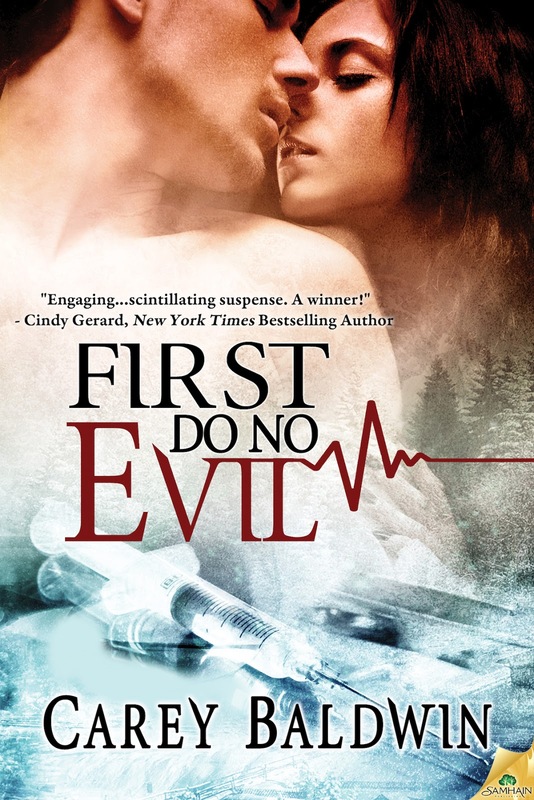 Today I’m also blogging over at www.KissandThrill.com and everyone who leaves a comment by midnight tonight on this blog, AND my Kiss and Thrill blog will win an electronic copy of FIRST DO NO EVIL for kindle or nook. Remember, you must comment on both blogs to automatically win FIRST DO NO EVIL. So tell, us please, how do you celebrate Halloween? Giveaway ends 11:59pm EST Oct. 26th. Please supply your email in the post. You may use spaces or full text for security. (ex. 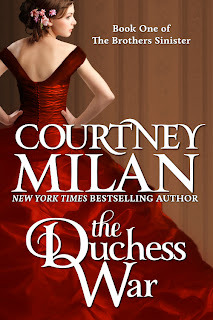 jsmith at gmail dot com) If you do not wish to supply your email, or have trouble posting, please email maureen@justromanticsuspense.com with a subject title of JRS GIVEAWAY to be entered in the current giveaway. Since our kids are in college we just give out candy now but I do enjoy seenig the kid's costumes. Thanks for the wonderful giveaway! Hi Maureen! Thanks so much for stopping by. Okay, I'm laughing at myself. This is THE Maureen, owner of the blog, right? Ha, ha. Thanks for stopping by your own blog. I am totally blushing. Good to 'see' you though!!!! No, that is our beautiful guest, Maureen. The real Maureen always lurks behind the scenes. :) Happy to have you here, Miss Lena. Well thanks for the lovely comment....to both the Maureens! I initially read beautiful guest Maureen as beautiful ghost...go figure! :-) Waves at Lena! Awesome, fun post Carey. Your story is so touching. And reading my story on here about my dad has me all teary this morning. I miss him so much. We lost him to cancer when I was twenty. But I'm so grateful for the time we had together. He truly was a real life hero. Some day we'll have to blog about the real heroes in our lives! Hope you have an awesome Halloween. Lena, I miss my parents so much. But isn't it wonderful to have so many memories, and to be able to share them? I love that idea about real life heros, and I love the story about your Dad. I can just picture the big tough Navy man having to go to base security and inquire about mysterious footsteps. Thanks so much for joining me in this crazy Halloween blog! Thanks Carey. So nice to be here with you! Lena- I had a similar experience, except we were teenagers and my mom was certain my sister was sneaking back into the house. I remember my mom tearing up the stairs one night and throwing open my sisters door. "I know you just snuck in," she yelled as she pulled the covers back, thinking she would FINALLY catch my sister still dressed from a party. Except, my sister had been sound asleep. Her face was creased from her pillow. We all heard the footsteps at some point. So freaky! Many years later my mom admitted that, when she was alone in the house for some reason, she would sleep outside on the porch. Hey Cris! You know, the best place to get discounted candy...is to raid your brother and sister's bags! Not that I ever did that, of course! :-) ...Not much anyway. Trunk or Treat? I love it! Sadly, the trick or treat is on the decline in my neighborhood as well. Thanks for the comment, Trish! I would've loved to meet you grandmother Bessie! Any chance you'll write a story with a woman who has a clairvoyant grandmother? Luckily, we have a ton of kids in our neighborhood so Trick or Treating is alive and well! You are lucky! I wish we had more in our neighborhood as I love to hand out candy. I hope everyone will hop on over to KissandThrill to read your fascinating story of Baboo the friendly, (and protective) ghost. Yours is an amazing story! We celebrate by passing out candy to trick-o-treaters. Thanks bn100 for your comment! I hand out treats to Trick or Treaters while my mother & sister take my nephews around... then when they return we have a fire out back with the rest of the family and enjoy Smores together. Ohhh, Colleen. Who doesn't love smores? I too, had a fun Halloween tradition with my kids. I even posted the recipe on my website. My children are too big (as in totally grown and gone) and I don't have grandchildren yet to join in the fun. Pumpkin Sandwiches: Your favorite dark bread. Rye or pumpernickel works well. Cut “pumpkin face” into top slice. Add a yellow or cream cheese for the middle and it looks like a glowing jack-0-lantern. Red Hot Apple Cider: Dump half a package of red hots into a pot of heated apple cider. The truly bold among you may dump a “whole entire” package of red hots into the brew. CORDUROY’S HALLOWEEN, or Edgar Allan Poe’s THE RAVEN, depending on the age of your audience. I love to shop for Halloween candy and decorations. I don't dress up unless I'm going to a party. If I'm home I'll catch whatever scary movie is on TV. Thanks Jane! I love scary stories, but for some reason I'm a whimp when it comes to scary movies! When my grandfather died, my entire family was sitting around his living room telling stories about him, when all of the sudden, the doorbell rang. Normally this wouldn't have been strange, but the doorbell hadn't worked in over 10 years...and nobody was at the door. We all smiled, knowing it was him telling us everything was okay. I'd have to say my favorite thing about Halloween is carving the pumpkins with my kids. They love it and we always have a blast trying to come up with the most original design. danao(dot)b7(at)gmail(dot)com. Oh wow! You've had some amazing experiences! Dana, what a wonderful story! I like seeing how everyone gets so creative on Halloween. There are everything from open haunted houses, trick or treating indoors in the mall and other community events. It does get a bit cool here around Halloween time so we like to stay home and hand out candies. My favorite part is watching scary movies with my family. Hocus Pocus is a fun movie! Okay, now Hocus Pocus sounds like the kind of Halloween movie I can get down with! Thanks Deb! That is always loads of fun! It is totally fun to have to have a pumpkin on the stairs & the cute kids come to the door. It is also fun to have these "scary" books to read at this time. I used to love carving the Jack-O-Lantern. It's been a few years since I've done that now that the kids are older. I bet my new 15 year old might enjoy that. Thanks for bringing up the pumpkin, and for taking time to comment! The way I celebrate Halloween is to watch all the Ghostbuster movies and The Real Ghostbusters animation series. What is Halloween without ghosts? Oh my gosh! We need to pull out the Ghost Busters! Great idea! Scary movies & great books are the best way to celebrate Halloween. No calories involved. Now why d'ya have to bring up calories? :-) Thanks for stopping by! thanks for a fun post and giveaway! Congrats on the new release! I spend Halloween sitting in a lawn chair at the end of my driveaway to hand out candy. This is to keep my herd of 3 dogs from going nuts at the doorbell and knocking. Fingers crossed that it won't be cold and rainy as it has been all this week! I'll send you good weather vibes, Erin. My dog used to go wild when trick or treaters came to the door, too. I miss her! Thanks for the congrats! Thanks for joining the fun, Denise! Thanks for joining in Ann! Maureen, thank you again for having me! I had an absolutely fabulous time. 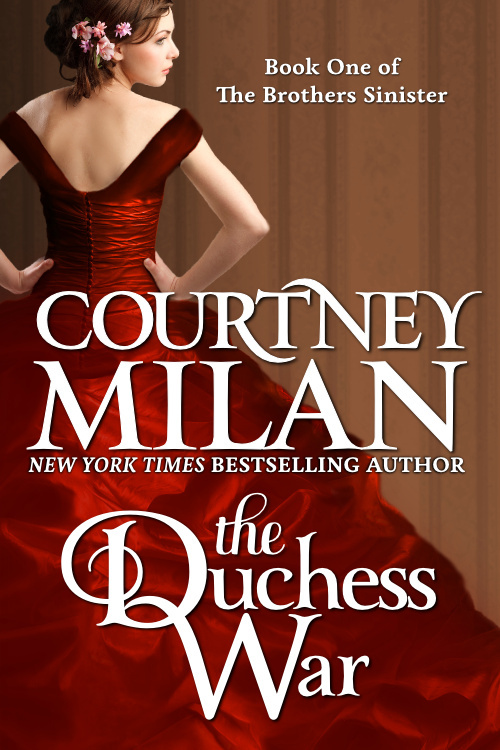 Either you or I can draw the winner of the multi-book giveaway for this blog. I'll also tally up all those who commented on both blogs and post a list of winners on MONDAY at Kiss and Thrill. I'll send out emails to the winners to confirm so please be on the lookout! Thank you all for such a wonderful time! I'll give candy to the kids in the neighbourhood who come trick-or-treating.